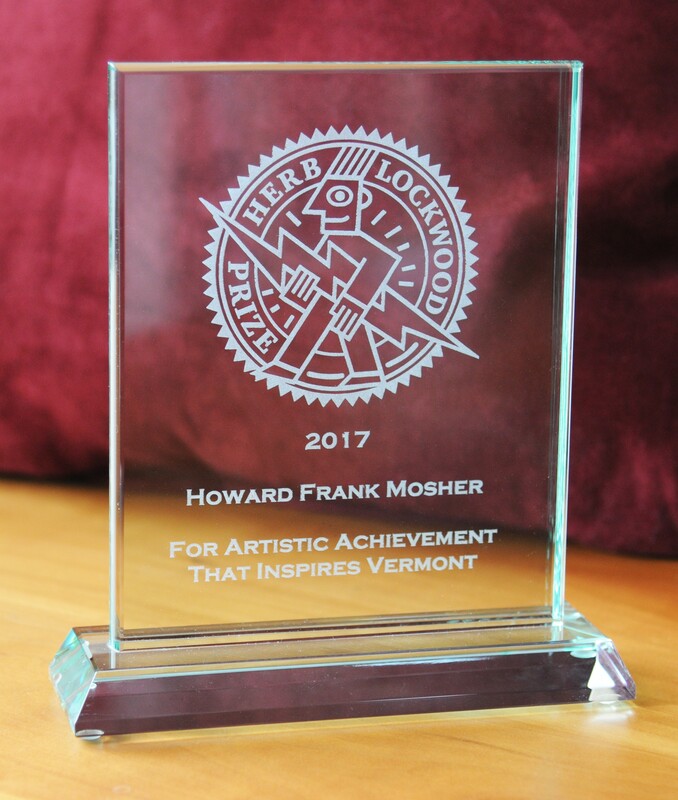 On Friday afternoon, Burlington City Arts announced that Vermont novelist Howard Frank Mosher is the 2017 recipient of the Herb Lockwood Prize in the Arts. The largest arts award in the state, at $10,000, is presented annually to "artists who produce significant work in the areas of visual arts music, writing, drama, dance, film and fine woodworking — while also having a beneficent influence on the Vermont community," according to a press release. Burlington photographer and writer Todd R. Lockwood established the prize in 2014 in honor of his late brother, Herb, an artist, cartoonist and woodworker. BCA referred to Mosher as the “bard of the Northeast Kingdom.” Indeed, the longtime Irasburg resident has published 11 novels set in the state — four of them adapted for films by Vermont director Jay Craven — and two memoirs. Mosher's titles include A Stranger in the Kingdom, Where the Rivers Flow North and Disappearances. The announcement also cited Mosher’s work in promoting Vermont writers, bookstores, and publishers. Just last week Mosher announced on Facebook that he had received a diagnosis of "untreatable" cancer. He is currently in hospice care. Mosher also noted that his forthcoming novel Points North will be published this winter, and that his wife, Phillis, will handle further publicity. Previous winners of the Lockwood prize were Norwich filmmaker Nora Jacobson, Newark fine artist and typographer Claire Van Vliet, and Middlebury actor and director Steve Small.